An understated painting from the Arles Sunflowers collection, this magnificent piece of art depicts five sunflowers in dazzling shades of yellow against a royal blue background in 5 stages of life. 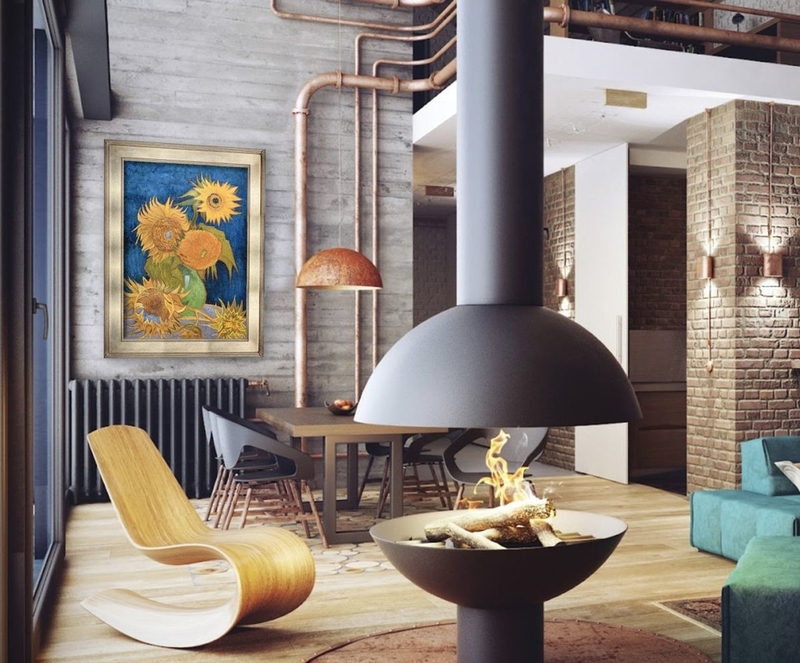 Replicas that are almost identical to original Van Gogh masterpieces are our speciality, and this imitation painting is sure to leave you awestruck. 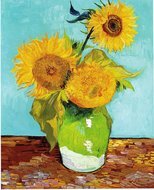 With skilled artists who have studied Van Gogh painting techniques—including the unique brush strokes, colour mixing, ambience, and rhythm of painting at work—these handpainted pieces of art emanate an allure that is quite close to the original. A predecessor to the renowned Van Gogh masterpiece—Tournesols, or Sunflowers—this painting is more vibrant than the latter. The bright royal blue adds a brilliant contrast to the radiant sunflowers in this painting. 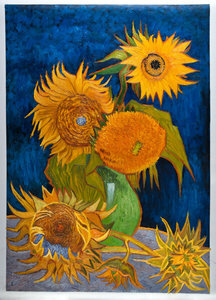 It depicts the several stages of the sunflowers, from a blossoming bud to a withered flower. Van Gogh intended to fill his studio with a dozen of these sunflower paintings. The collection of these paintings feature a diverse number of sunflowers with varied backgrounds ranging from a pale malachite green to a vivid royal blue. The ultimate Tournesols also had several replicas that are housed in several museums across the globe. The bright sunflowers in this painting portray a heightened sense of creativity, with the spectrum of yellow paint that was created with the addition of new pigments leading to newer shades. The longer a viewer spends in front of this painting, the more intense the character is that evolves from it. Van Gogh revolutionised art with his series of sunflowers, making art enthusiasts associate sunflowers with him, just as they associate peonies with Jeannin and hollyhock with Quost. The masterpiece was housed as part of the property of Johanna van Gogh-Bonger, Theo Van Gogh’s wife. The painting was then passed onto F Meyer-Fierz of Zurich, Switzerland. It was then bought by the Paul Vallotton Art Gallery of Switzerland and traveled to Japan’s Ashiya in the ownership of Koyata Yamamoto, where the piece was destroyed in an unfortunate fire during the World War II, in August 1945. The painting is fabulous- Thank you !